The child protagonist is an enduring feature of fiction, for adult as well as child readers, especially when a novel is written in the first person. 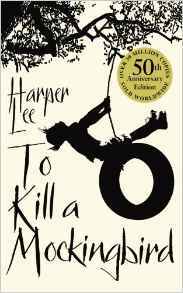 There are classic adventure stories – ‘Treasure Island‘, ‘Kim‘ or ‘The Adventures of Huckleberry Finn’; coming of age and family sagas – ‘Little Women’ or ‘The God of Small Things’; dystopian allegories – ‘Lord of the Flies’ and ‘A Clockwork Orange’ (yes, Alex is only fifteen when he relates this narrative) and much loved classics like ‘To Kill a Mockingbird‘. The early twenty-first century seems to be a particularly good time for child protagonists, from best sellers like ‘The Curious Incident of the Dog in the Night-time‘ (Mark Haddon 2003), to the lesser known, like ‘I’m Not Scared‘ a wonderful Italian book with a nine-year old protagonist, by Niccolo Ammaniti (2003, ‘Yo non ho paura‘ 2000) or ‘Florence and Giles‘, a gothic horror story narrated, using a language shot through with Lewis Carroll-like invention, by a ten year old, written by John Harding (2010). The apex for me will always be Scout in ‘Mockingbird‘, but I would also put in a word for Alice Munro’s Del, in ‘The Lives of Girls and Women‘ (1971). 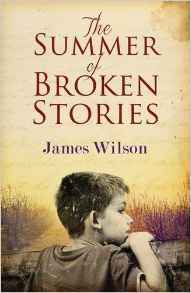 Recently I added to my list of finely drawn child protagonists, when I read ‘The Summer of Broken Stories’ by James Wilson. This book evocatively captures a time and place. The opening passage, when the narrator takes the reader back to that time, reminded me of the swooping aerial shot at the beginning of ‘A Matter of Life and Death‘ by Powell and Pressburger, showing an English village from above, then zooming down to a particular room in a particular house. Set in the 1950s, before I was born, this is also a time which, paradoxically, I know very well. It is the decade of my parents’ early maturity – marriage, home-making, preparing for a family – in a post war world, but while the war lived in recent memory. A class-ridden society but a slower and gentler one in many ways ( though not in others, especially if you didn’t conform ). Their experience coloured my own upbringing, for good or ill. Village life I also know and it is through the eyes of Mark, just ten years old, that we see this village, Twenty Acre Wood, the High Street, the petrol station, the big house. This world is his world, with his boundaries. There are the possibilities and restrictions within his strained family, the escape to his own imaginary world (via his train set) and the unexplained strangenesses both of adult behaviour and his own feelings – why does touching a girl playmate’s be-socked foot make him feel funny inside? This really is a child’s eye view, although the narrator is an adult Mark, looking back on his past ( just as Scout does in ‘Mockingbird‘ ). I have, of course, tried to ‘write’ children myself – Paul and Daisy Marshall in ‘The Village‘. I do not number them among this list, but mention them only to show that I understand how difficult it is to write a child narrator or, if a story is told in the third person, to have a child’s eye view. James Wilson does it in masterly fashion. 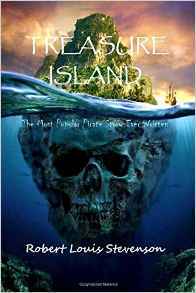 This entry was posted in Book Reviews, Writing and tagged Book reviews, Writing & publishing by juliej. Bookmark the permalink.